If you’re of a certain age, Bob Seger was omnipresent in your life. The main cause, of course, was Chevrolet’s 13-year Like A Rock ad campaign. Thousands upon thousands of TV spots turned Seger into a legitimate cultural institution. We played that song at my dad’s funeral, but not because he liked it. My family played it because he was a Chevy man and a goddamn proud American patriot. That’s how deeply Seger and Like A Rock were woven into the monocultural fabric! You still heard Night Moves or We’ve Got Tonite on the local soft rock station, so people clearly remembered his other work. But nothing compared to the ubiquity of those commercials. It’s been 14 years since General Motors ended that campaign, and the square corporate association is firmly in the rear view mirror. Now music fans are wising up to something we canny Midwesterners always knew: Bob Seger was actually cool. Before selling out arenas, Seger wrote blistering garage and fuzzed-out blues jams with serious Motown energy. He was right there with the MC5 and The Rationals. There’s a good chance Seger even inspired Jack White to write Seven Nation Army. With renewed interest in his nascent catalog, ABKCO collected some of the earliest tracks to feature Bob Seger. The compilation, called Heavy Music: The Complete Cameo Recordings 1966-1967, is out Sept. 7. Heavy Music only covers a small portion of time, but it was a formative period for Seger. In anticipation of the release, here are some of the rarest records of Seger’s pre-Silver Bullet Band career. When Seger was a sophomore in high school, he started his first band with some classmates called The Decibels. They didn’t last long, and the band made very little impact in the Detroit scene, but Seger’s time with The Decibels gave us this ultra-rare acetate. Recorded in Michigan rock legend Del Shannon’s studio, this record contains Seger’s very first original song, The Lonely One. It was played on the radio exactly one time, so the story goes. Sadly, we don’t have this release in the database. Spread the word amongst all your Bob Seger superfan friends, so whoever has it can add it soon! The track isn’t available anywhere online either, but you can hear Seger sing it during an interview from 1991. This marks Bob Seger’s first “break” — unless you count backing up strippers with your buddies on a Saturday night. After fronting a couple of bands around Detroit, Seger joined up with Doug Brown And The Omens. Shortly after, they cut this single. Through his involvement with The Omens, he met Edward “Punch” Andrews. The meeting was fortuitous, because Andrews’ Hideout label served as an incubator for Seger’s career. The relationship went much further though, as Andrews ultimately became Seger’s manager throughout his career. A subsidiary of the Hideout label, Are You Kidding Me? Records, released this novelty single recorded by The Omens (but credited as The Beach Bums). 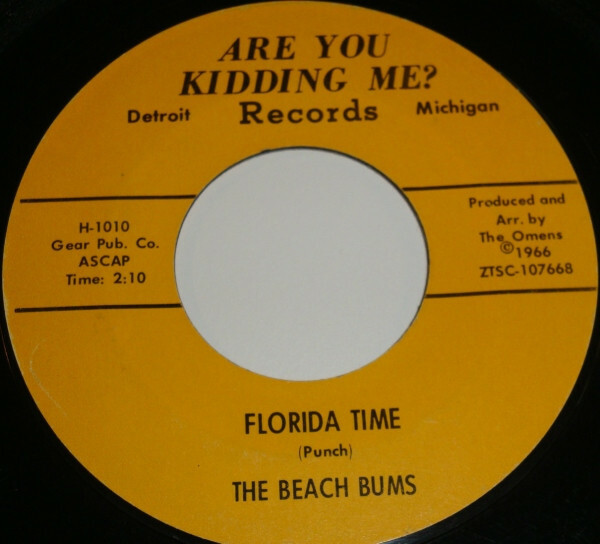 The A-side, Florida Time, is a Beach Boys homage complete with revving engines. It’s backed by a send-up of the Barry Sadler’s contemporaneous pro-military hit The Ballad Of The Green Berets. Sadler threatened a lawsuit quickly, and the record was pulled. This single shows Seger spreading his wings beyond The Omens, as he cowrote the upbeat surf-meets-Kinks song Get Down On Your Knees for Hideout labelmates The Underdogs. After the track turned out so well, Seger wrote another one for the band. The Underdogs recorded the second song, but Hideout’s higher-ups didn’t like that version. Instead, they had Seger record the new song himself, which proved to be the right call. 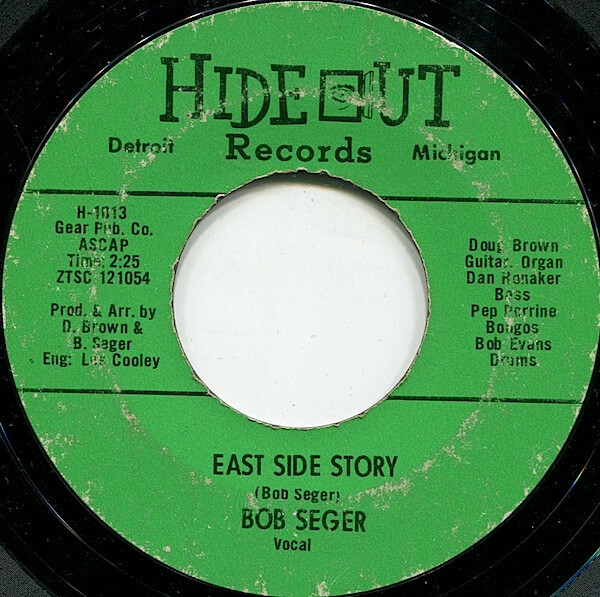 East Side Story was the track he wrote for The Underdogs, and it ended up being one of the most important recordings of Bob Seger’s career. While it didn’t become a smash hit, East Side Story caught the attention of Philadelphia label Cameo-Parkway, who previously discovered fellow Michigan garage act ? & the Mysterians. 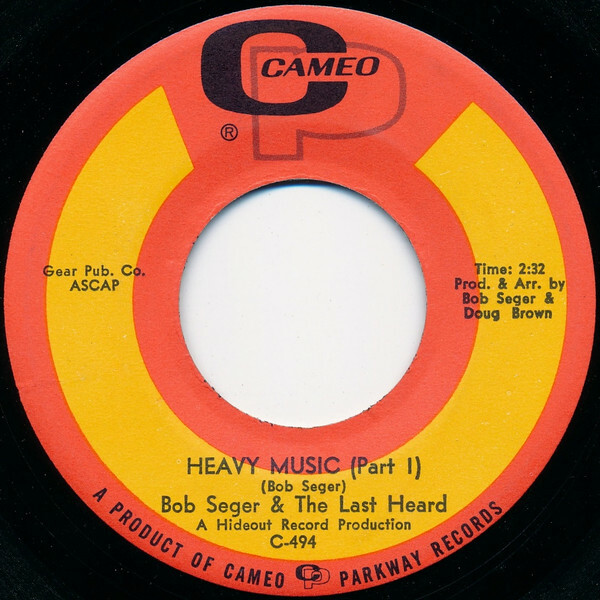 Cameo repackaged the single and credited their version to Bob Seger And The Last Heard. 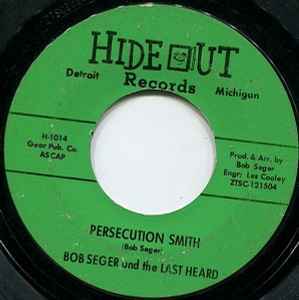 Over 50,000 copies were sold in Detroit, putting Seger on the map locally. Seger kickstarted 1967 by dabbling in Dylan. The buoyant stomp of Persecution Smith is right out of Maggie’s Farm, with an acerbic take on half-hearted revolutionaries who talk more than act. On the flipside, he channels Wilson Pickett for Chainsmokin’. The track is a funky reminder that Seger always held his Motown roots close. 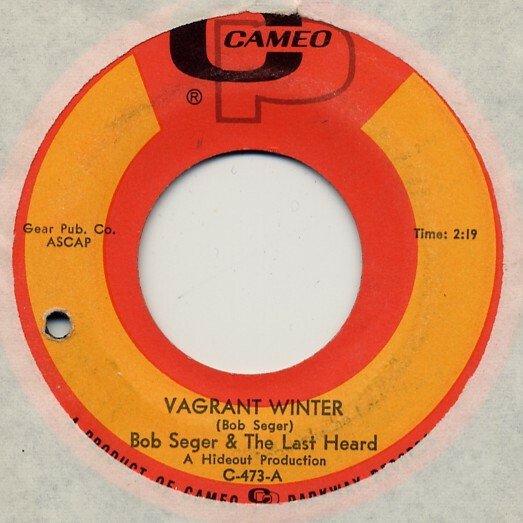 Seger spent most of his Cameo-Parkway career experimenting, and Vagrant Winter is no exception. It features The Last Heard moving into psychedelic freakout territory. With thick textures, rollicking organ melodies, and heady lyrics, the song gives I Had Too Much To Dream (Last Night) a run for its money. It’s backed by Very Few, a harmony-laden ballad where Seger’s voice seems to float gently above the music. This was Seger’s biggest hit thus far. Heavy Music combines his propensity for garage with his love of R&B, creating something grittier than Mitch Ryder‘s take of Detroit fusion. It also makes you wonder if Creedence Clearwater Revival would’ve sounded like this, had Fogerty and the boys been from the Motor City. After Heavy Music conquered the local charts, it seemed poised to break nationally. Sadly, the single sputtered. Cameo-Parkway was in bad shape financially, and they ran out of money to promote the track. Thanks to the limited success of Heavy Music, Seger signed with Capitol once Cameo-Parkway folded. 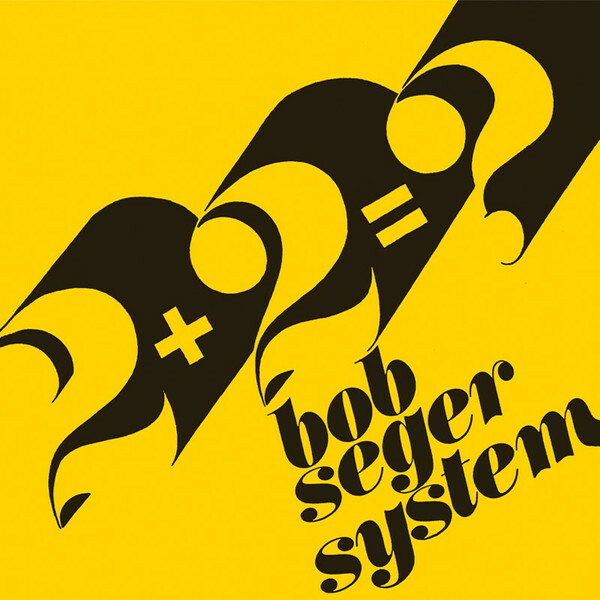 Now going by Bob Seger System, the band released one of the first anti-war songs of the Vietnam era. The groove-heavy 2 + 2 = ? followed the same script as previous singles, becoming a local hit while failing to register nationally. The song is famously one of Jack White’s favorites, sparking debate over whether its riff inspired Seven Nation Army. White’s Third Man Records even reissued the single last year, with a special yellow edition for Record Store Day. The second System single delivered on Heavy Music’s promise. 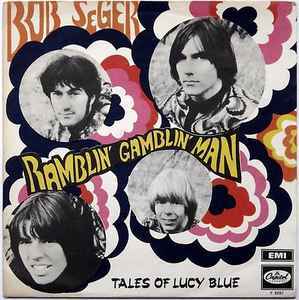 Released in late 1968, Ramblin’ Gamblin’ Man was Seger’s first national hit. A less combustible version of Heavy Music’s garage/R&B synthesis, it peaked at 17 on the US charts. Ramblin’ Gamblin’ Man is also notable for the appearance of a pre-Eagles Glenn Frey, who recorded guitar and background vocals on the track. 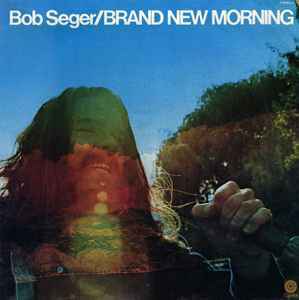 After dropping the System moniker altogether and putting out three full-lengths, Seger went totally solo on Brand New Morning. Pulling a Nebraska over a decade before Springsteen, this stripped-down LP can only heard on vinyl and 8-track — officially, anyway. That’s because Seger eventually disowned the album and swore it would never be reissued on multiple occasions. The promise has been upheld so far, which created a serious market for the original version amongst Seger fans.